Group Discussion Ideas > General GD Topics > Are Advertisements Beneficial or not? Are Advertisements Beneficial or not? In this topic, we can discuss the impact of advertisements for public and businesses. Along with the benefits, we need to discuss the dark side of advertisements too. Advertisements benefits both the seller and the consumer. Sellers can promote their goods through ads. On the other hand, consumers can know the information of goods and discount deals available in the market, so they can take informed decisions. Many information websites and blogs are providing content for free, because they get paid by advertisers. Ads sponsor Newspapers, TV programs, sport events. Ads on buses and trains support government. For example, YouTube videos are free because YouTube and YouTubers gets money from advertisements. Ads can help the process of social change too. For example, in the present times, we are witnessing ads that are promoting gender sensitivity. In India, we have ‘Advertising Standards Council of India (ASCI)‘ to censor advertisements. It is being made even stronger to address several challenges in the advertisements field. ASCI banned several ads that contain false promises and highly photoshopped images. Hence, now we can worry less about the probability of false promises by ads. One of the present trend of advertisements is doing good to society like giving scholarships to poor children etc. and thereby marketing their brand, which is very beneficial to the society and businesses as well. Some people do not even know about some products. Advertisements help them for free by showing the products available in the market to make lives easier. For example, Electronic roti maker is a big help to senior citizens and working people. Ads leave a great impact on mindsets, especially on youth. It is leading to increasing consumerism. People, who can’t afford to buy those products may feel inferior by the inescapable ads. Ads are repetitive. Many times, we are seeing the same ad in TV, on hoardings and in websites etc, which is irritating. The big hoardings besides roads are distracting and can cause accidents. Some advertisers do not follow ethics, and they don’t even care about environment. We end up using these products, without knowing their effect on environment. Room fresheners, cleansers are some examples of this kind. Ads like weight loss and fairness products can make people feel insecure about their bodies. For example, the depiction of Fair & Lovely ad made many dusky skinned people insecure about their skin color. In the process, several people applied harsh chemicals (fairness creams) on their faces, and few even resorted to cosmetic surgeries. Most of the ads use fake photoshopped images and make false promises. These type of ads are misleading. Advertising costs effects the cost of product. It’ll be an additional burden to customers. Some companies waste their valuable resources on advertising. If they spend this money to provide better services their customers, they can gain more customers through mouth publicity. The overwhelming presence of ads in the present days caused ‘ad blindness’ in many. Ad blindness means people who are very used to ads tend to subconsciously ignore banner & display ads. Due to this, the investment that was spent on advertising is wasted. Kids are getting attracted to junk food because of advertisements. Advertisements disturb the level-playing field of businesses. They give unfair advantage to businesses that have huge investment. People subconsciously prefer to buy products that they saw in ads. This is a disadvantage to local retail shops too. For example, people prefer to buy branded pulses and grains rather than buying them loose in local shops. Some advertisements influence people to go for unhealthy habits. For example, ads on wine show drinking as stylish and send negative message to public. However, these type of ads are reducing gradually. Advertising is a process of promoting goods and services through media, sponsored activities etc. There are various types of advertising. Ads in newspapers, TV programs, blogs, websites, Hoardings besides roads, sponsoring sports, giving scholarships, free samples are some examples of advertising. In India, ‘Advertising Standards Council of India‘ (ASCI), a self regulatory voluntary organization of the advertising industry was founded in 1985. It’s aim is to enhance public confidence in advertising. People can send complaints to ASCI, if any ad is false, misleading or offensive. 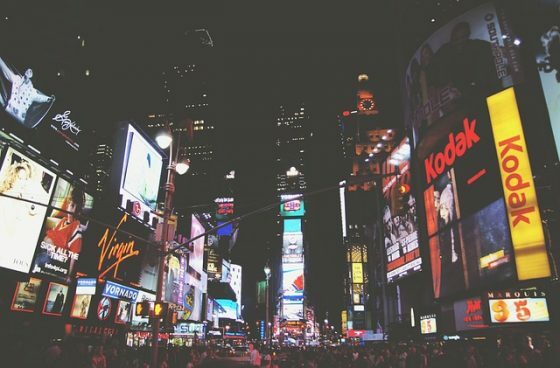 Advertising is inevitable and the advertising field is changing for good. These days, the discriminating ads are rare. Many advertisers are doing good to society to get exposure for their brands and people have become more aware of false promises. This is a good phenomenon. But the main problem with advertising is growing consumerism. This must be avoided and we should work towards an Eco-friendly lifestyle. According to me advertisement is beneficial for commercial purpose. Advertisement means a public notice , through advertisement people can get the information what is the product ? How much does it costs ? How it can use ? Even those people living in the remote area they also can understand the product through television or newspaper .If any company launch any new product they give the advertisement and advertising agency they are very creative , they have to think how they will make the presentation ? People can eat it . Each and every product advertisement are available from toothpaste , detergent, soap to dresses , cosmetics, medicine, furniture and Gold ornament everything and where discount is available , how it can use even those are uneducated people they also can get the information. But consumerism is increasing day by day , today it can buy , tomorrow it is getting old , people wants to buy another one .Rich people also desire , poor people also they have desire. They don’t think where they will get , they want to fulfill their demand , demand is increasing. Nowadays advertisement is a thriving business and many people involved in this work and it is very useful for commercial purpose.